Teba House is located on Jalan Sugriwa, one street east of Hanoman Road. 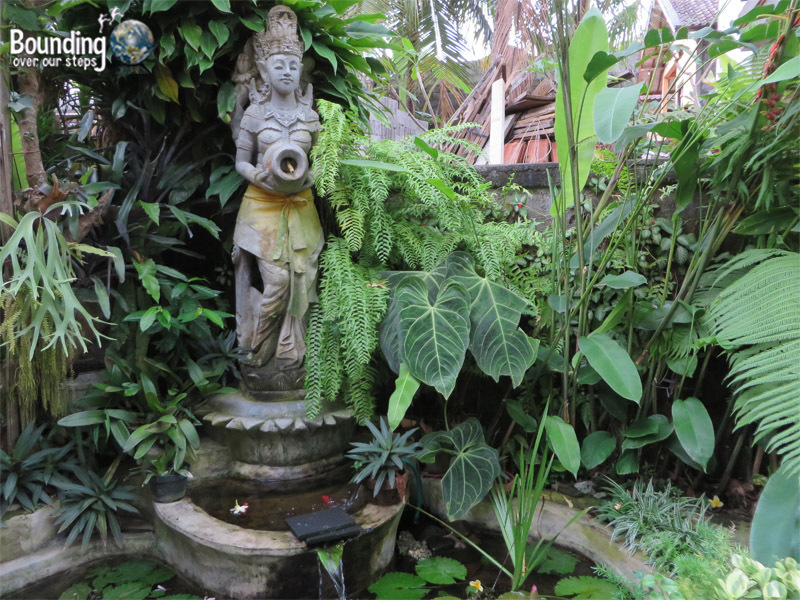 Within a stone’s throw away from many restaurants and a short walking distance to Monkey Forest and the Central Market, Teba House is the perfect spot to spend a few nights, while exploring all that Ubud has to offer. From the street, Teba House isn’t much to look at with only a simple, unassuming sign and a small parking lot. The further we walked down the narrow passageway, however, the quieter the street noise became until it disappeared altogether as it opened up to a beautiful garden setting not unlike an oasis in the desert. With brightly colored flowers, a welcome drink of tea or coffee and a friendly staff Teba House is very welcoming. 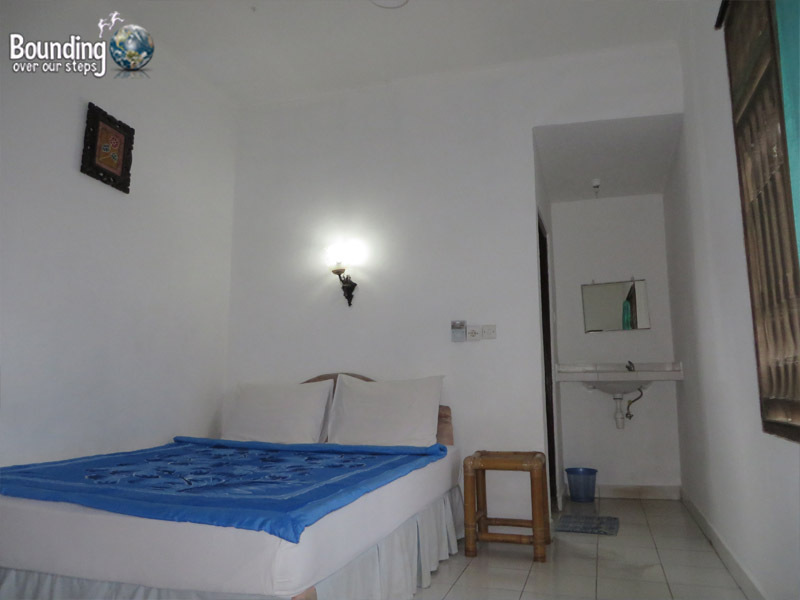 Our standard room included a comfortable bed with a highly efficient ceiling fan, cooling even the hottest of days. The bathroom is very basic but includes refreshingly cool water and a small window, allowing for lots of natural light. The highlight of the room for us was the seating area on the terrace overlooking the garden. All rooms come with free wifi with a very strong signal and an array of magazines to flip through. The price of the room also includes a delicious breakfast. Breakfast is served on your terrace whenever you wish for it and consists of a seasonal fruit plate. 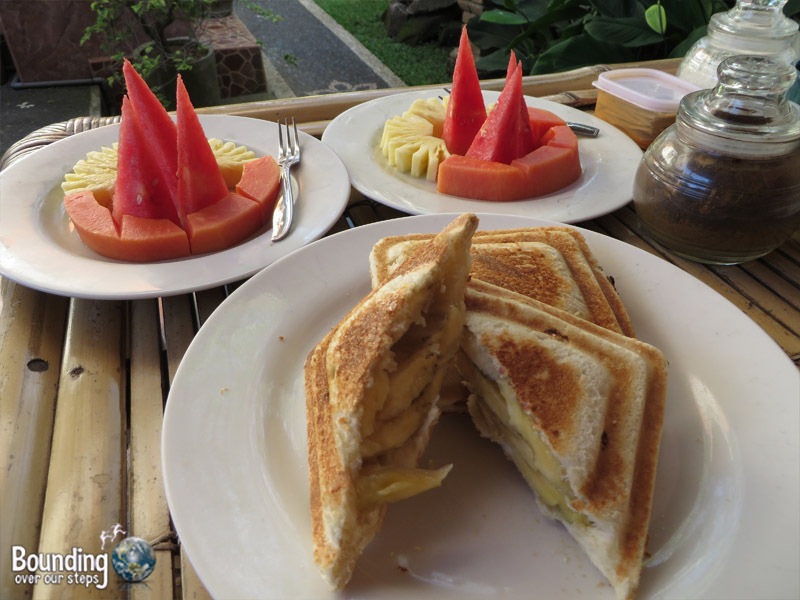 As vegans we could not eat the other breakfast options, but the staff was very willing to accommodate us by preparing a banana jaffle without butter. 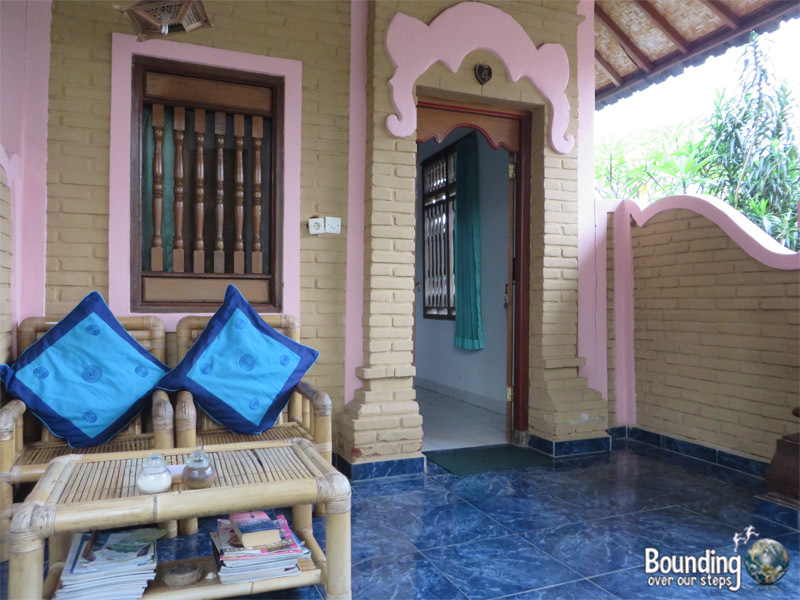 All in all, we very much enjoyed our stay at Teba House and will be sure check their availability the next time we find ourselves in Ubud, Indonesia. Cd you advise if I left my skin coloured bra in the room? Hi Natalie, I’m glad you spent some time in Ubud. This is a review of the time we stayed at Tebu House. We do not work for Tebu House. I recommend contacting them directly and good luck recovering your missing item.